Ski Season Under 4 weeks to go! The season is nearly here and we’re starting to get very excited now! Less than 4 weeks to go until the lifts open in St Martin. We’ve just returned from the chalet after a few days of pre season prep. The new family suite is freshly decorated and furnished, improvements made to the lounge and kitchen and the whole chalet is now sparkling and clean. 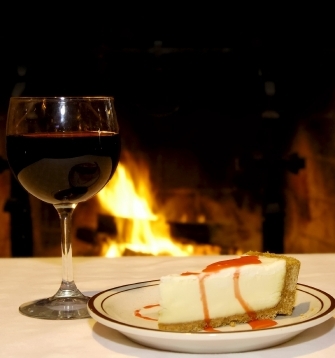 All ready for our first guests of the season. Christmas: 1 x Family room for 4 people – 7 day option 21st – 27th Dec:£512 per adult / £358 per child or 11 day option 17th – 27th Dec £659 per adult / £459 per child. New Year: 1 x Double room – 27th Dec – 3rd Jan: £564 per adult. For full availability please see www.peak-pursuits.com/prices. Please get in touch soon to reserve your week. The start of the season is always a special time. 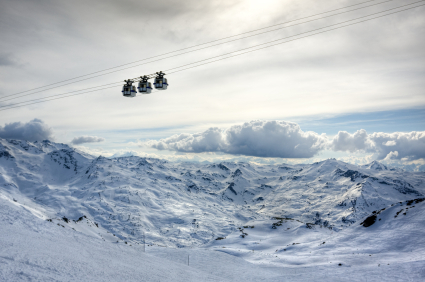 Lifts open in St Martin on the 10th December. It’s the perfect time to enjoy a cheeky pre Christmas break on empty pistes. We are also offering guaranteed snow. If for any reason the snow is not great in St Martin we will drive you to Les Menuires or Val Thorens. We are offering this week at the fully catered price of £299 GBP per person. Get in touch for more info. 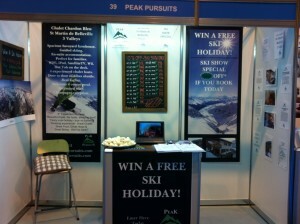 Peak Pursuits were recently at the Birmingham Ski Show. It was a fantastic 3 days. 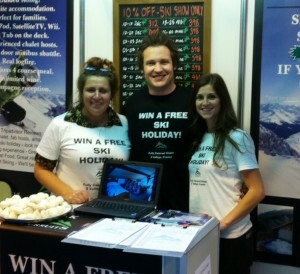 Our free snowcakes and ‘Win a Free Ski Holiday’ went down extremely well! We were all rushed off of feet taking enquiries and quite a few bookings. Big thanks to Jan and Becky for their invaluable help and hello to everyone we met over the 3 days. We are pleased to announce our full team for the coming season. 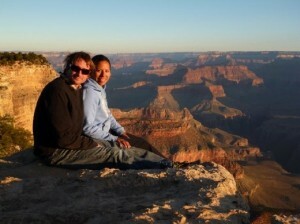 In addition to Becky and Darren our Chalet Managers we are delighted to introduce you to Brett and Danielle. Brett is an Aussie and a teacher by profession. Danielle is Canadian and a Nurse. They are both currently on a year (or 2) out! Both have extensive experience of skiing / boarding and decided a season in the Alps would be a great experience. We look forward to welcoming them to the team and they look forward to looking after you all for the coming season. Our free ski holiday competition still has 2 weeks to run. Have you entered yet? We are offering the opportunity for a family of 4 to win a free stay with Peak Pursuits. 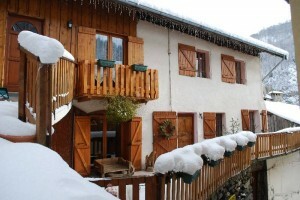 The prize includes a fully catered week in the chalet, travel from London on Eurostar and a free transfer. If you’ve not yet entered the clock is ticking …!